Aah, sorry I misunderstood. That is just server and radar equipment space. Likely it is noisy and not very comfortable. I doubt the reason there aren't any pictures is that is it classified. More likely because they probably don't think people really have an interest in the server racks and data cabinets. "A UK defense publication reported late today (US time) that Boeing agreed to final assembly of the 737-based Wedgetail radar and surveillance airplane in the UK". Any ideas where/how that might happen, anyone? There will be the new support facility for the P-8A the UK will be receiving next year. But that would be too far north. All you need is a hangar bay that will fit a 737. The tooling for the mod was last used for Korea's Piece Eye and should be able to be shipped to the UK no prob. Those tooling did travel a bit. First Australia, then Turkey, Korea, now UK. Anyone know where did Boeing modify those UK Apache and if that facility will fit a 737? If it can then that would be my guess. By final assembly, what they mean is they will take a base 737 frame. They would then cut/remove the crown of the 46 section and replace that section with a pre-fab section that contains the interface for the NG radar. During this time, they would stuff the main cabin and lower lobe with the electronic racks and gobs of wiring, additional fuel tanks etc . . . The E-7 has supplementary fuel tanks ? I believe so, they are located just forward and aft of the wing box/MLG. They can be seen as pink in the cut-a-way. Looks like the E-7 have fewer aux tanks. The large radar sail would also increase the fuel burn. However, operation environment of the E-7 would include tanker support where as the P-8A are often out there by their lonesome. In addition Cambridge-based Marshall Aerospace and Defence is likely to undertake the work of modifying the 737 airliners to the AEW configuration. I think that is reasonable by the UK. I'm sure if there were no issues with the Airbus/Saab offer, it would've been very competitive. But as it stands, the UK gets a ready-made, in-service and proven solution instead of having to potential rewrite the book on AEW with a new platform. There was a risk with the Saab proposal with the second radar at the front of the aircraft. That second radar could pose a aerodynamic stability issue that would need to be addressed (through analysis and flight tests - potentially more delays). Similar to how a forward canard create instability in a fighter aircraft. UK Ministry of Defence (MoD) procurement officials did not carry out test flights in rival Swedish or Israeli products before selecting the Boeing E-7 Wedgetail airborne early warning (AEW) aircraft, according to a document released to Jane's under a Freedom of Information (FOI) request on 27 November. The document also reveals that the Royal Air Force (RAF) Air Command Airborne Warning and Control System Capability Sustainment Programme Team, which runs the project to replace the UK's fleet of six Boeing E-3D Sentry radar aircraft, did not visit any of the factories where the contenders build and integrate their AEW aircraft. See Reply #64 above by BikerThai. The fundamental issues has nothing to do with the factories. What the factories do is tell you how well/efficient you can put the plane together. Factory visit would not make sense either way because the plan is to set up a mod facility in the UK anyway. Besides, the E-7 do not have a current factory to be compared. There was already rumbling that the Israeli proposal would have been too small for the UK needs (smaller radar and lack of space for battle space management needs). The Swedish proposal would have plenty of space, but has other issues as mentioned above (both acquisition and development). The one thing about the E-7 is you can train the crew the RAAF while the plane is being mod so you do not loose months getting up to speed with your own frame. Strange that they are using the E-7 Wedgetail name, given that it’s specific to Australia. The E-7 Wedgetail was co-developed by Boeing and the RAAF an have been sold to Turkey and Korea. The RAAF has rights to some intellectual information which allow for them to earn $$ on each sale. The UK may benefit if the RAAF wave the fees for the data. 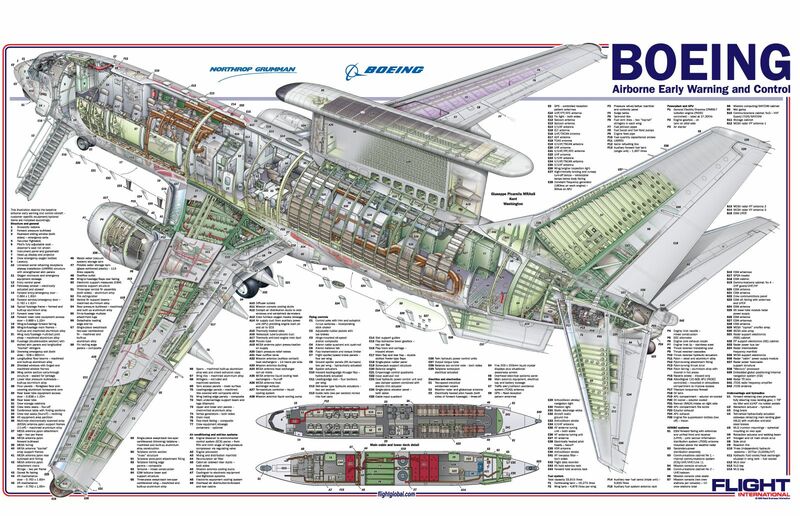 When Boeing was developing the aircraft, I recall several Australian nationals working with the Boeing design team. One in particular was building a mini jet engine or was it a mini rocket nozzel in his apartment. 7 replaced by 5, that’s a bit of a down grade isn’t it. Not if they can only fly half of the 7 that they have. The operational reliability of the 737 Wedgetail is well documented by the RAAF, so the RAF would have a good sense on how 5 frames would perform with their operation tempo. I doubt five will be enough for the UK to sustain their own capability for a protracted period. Five aircraft would translate to one aircraft in a training unit, one aircraft down for maintenance and three available for operations. That essentially gives you one aircraft available for airborne operations at any one time and I expect they wouldn’t be able to run 24 hour coverage for more than a few days. Seven aircraft (with five available for ops) would allow the RAF to maintain one orbit 24/7 for a long time or maintain two orbits in a surge capacity. The average RAAF sortie time for Middle East operations was 12 hours 15 minutes which would include transit to and from the airspace. Curious if there are any speed / Mach limitations imposed by that large radar fairing ? If the UK really want to optimize their utilization, then they could do most of the training with the RAAF. I read that the RAF crew are already training there now. Is it true that the RAAF only took six frames? I thought they had seven. If they only have six frames, and if one of them is used for training, then they would have 5 in rotation. So if the operation tempo of the RAF is similar to the RAAF, and they both share the one frame for training, then the 5 frames would seem to be right (specially if budget is an issue). I would not believe Wiki on speed and cruise. The sail create extra drag which reduces top/cruise speed and max ceiling. Don't know the value though. Reliability data is irrelevant to the MoD / RAF who have managed to run the Sentry fleet into disrepair after years of underfunding and neglect. Meanwhile NATO who took their first Sentry a decade earlier will continue with them until 2035. Buying Wedgetails is just a cop-out to hide the real issue; the RAF can't sustain a fleet in good condition. 20 years from now they'll be back in the same position. It is pretty unlikely that the RAF would conduct all their training with the RAAF. The initial lead in stuff definitely but once they have sufficient jets available in the UK they will almost certainly train their own crews in the UK. Yes the RAAF only acquired six airframes. I remember news reports back in the middle 2000s that seven was the optimal number for fleet rotation and persistence of coverage. Even then the initial order was four with three options and I believe one of the compensations for the contractual performance issues and late delivery was that sixth airframe. The E-3Ds are only difficult because of neglect. In fact they should be the most reliable E-3 fleet in the word. They have the CFMs and if the Uk would have up-graded the avionics together with the US and NATO the reliability probles would be much reduced. Last I saw? The UK was fully capable of developing and deploying it's own avionics. If they need help? They have only to ASK and they would receive. They'd need to ASK and PAY. The latter was the problem; successive sustainment and upgrade projects for the RAF Sentry were cancelled to redirect funds elsewhere. The MoD didn't even follow the recommendation to replace the polyimide wiring insulation that all other Sentry operators did despite this being a flight-safety issue. Several RAF Tornados were lost due to insulation failure and the RAF Sentry fleet has been grounded on several occasions for the same reason. Planned Sentry retirement dates: USAF 2040, France 2038, NATO 2035, Saudi ?? When I first heard about the RAF getting E-7's I did think 'why?' The RAF have one of the newer Sentry fleets after all. Thanks for the clarification, clearly a case of penny wise and pound foolish. Inherent in the UK, not just in government, MoD or the RAF either. A small benefit to Australian Industry from the British acquisition of the E-7A. The Australian government has stated that the UK’s selection of the E-7A as its airborne early warning and control (AEW&C) replacement is expected to generate 100 jobs at Boeing Defence Australia in Brisbane and Newcastle. Furthermore, more than 200 Australian companies are involved in the Royal Australian Air Force’s (RAAF’s) acquisition and sustainment of the E-7A, and they will be available to contribute to the supply chain for the UK Royal Air Force (RAF) procurement. On 23 March the UK government committed USD1.98 billion to the acquisition of five aircraft, closing the debate within the country over which platform would replace the Boeing E-3A Sentry fleet that is approaching the end of its service life.